Testing on devices can be pretty frustrating, since you miss tools like a good developer console or the element inspector. And how do you connect to the virtual host of your local machine from an iPhone or iPad? Here are some tips and strategies on how to test your project on different hardware. Testing your responsive design by resizing your browser window to see how the viewport size affects your layout works pretty well. 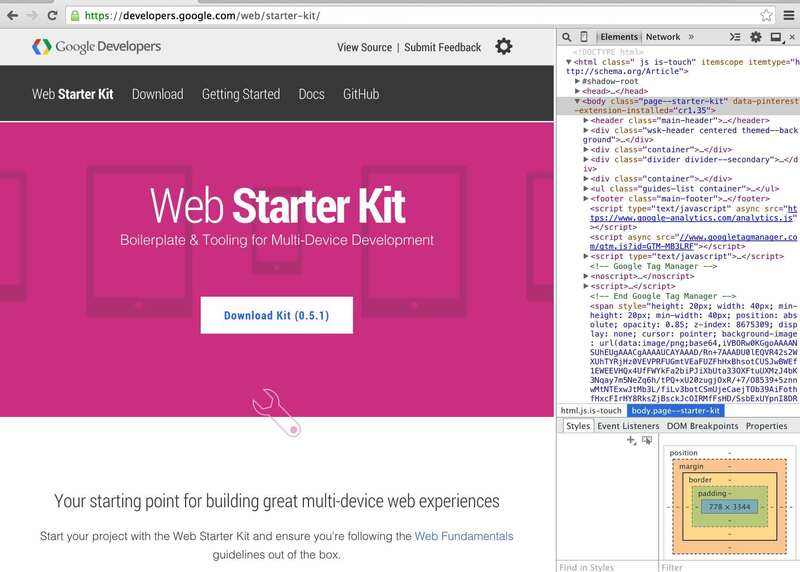 But when it comes to testing of interactions on touch devices there is no other way then test it on a real device or use google chrome dev tools an the built in device mode. Safari and Google developed mechanisms that endable us to debug on mobiel devices remotly. To use your Safari Developer Toolbar on your mobile testing device you first have to prepare your device. Therefore goto Settings > Safaria > Advanced and turn on Web Inspector. To enable Safari to allow remote debugging you need to open up Safari's Preferences and click on the Advanced tab. There you need to make sure that Show Develop menu in the menu bar is checked. Plugin your testing device, open your website in iOS Safari and goto Safari's menu Develop on your computer. Your iOS device should be visible there. Clicking on it will enable your to use the Developer Tools of Safari for that device on your computer.